Yesterday morning, a little self-intervention led to a most-delicious discovery. This is what happened. After finding myself once again scouring the internet for Tartine’s croque monsieur recipe, clicking on fruitless links I had clicked on before, and seeing myself heading down an equally defeating path — toward my bookshelf ready to thumb through my Tartine cookbooks to ensure once again I hadn’t made a glaring oversight — I paused. What’s wrong with you? I asked myself. This isn’t rocket science. This is croque monsieur. And right then and there I stopped wasting time and marched straight into the kitchen, making bechamel the order of the hour. 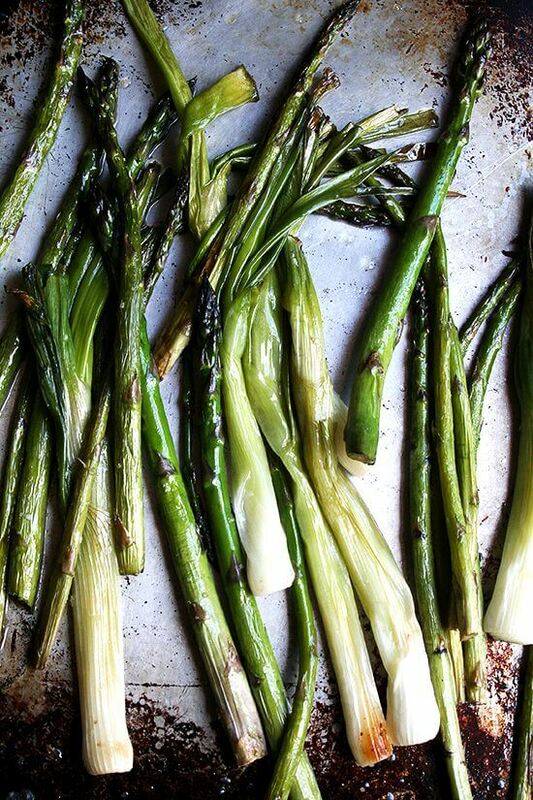 And then I preheated the oven to roast some asparagus and spring onions. And then I cut two thick slices of olive bread, grated some Comté cheese and picked a few thyme leaves. And before I knew it, a bubbling, bechamel-and-roasted vegetable-tartine had emerged from my broiler. And in an instant Tartine didn’t feel 2,847 miles away, and Tartine-style croque monsieur at home, such an impossibility. While I didn’t even miss the meat on my spring vegetable croque monsieur, I suspect that a few slices of ham would bring my favorite breakfast sandwich even closer to home. Just know that if you can make a bechamel, and if you can get your hands on some good bread, some sort of Gruyère-like cheese, and some fresh thyme, you have the foundation for a daydream-worthy croque monsieur. Of course, the only possible way this sandwich could be made any more delicious is if it were topped with a poached egg. Yum. 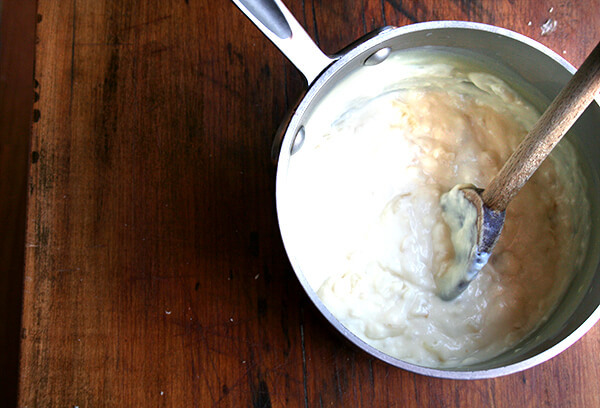 Note: I’ve included a recipe below for a bechamel sauce that I really like (it’s from Nancy Silverton’s sandwich book), but by all means, if you have a go-to bechamel recipe, use it. After the bechamel is made, there really isn’t a need for a recipe here. 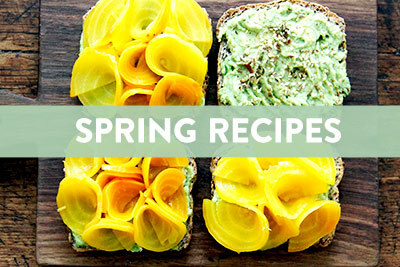 Just pick your favorite spring vegetables and cook them however you like, or if you have access to some good ham or bacon, go the more traditional route and substitute the vegetables with the meat. 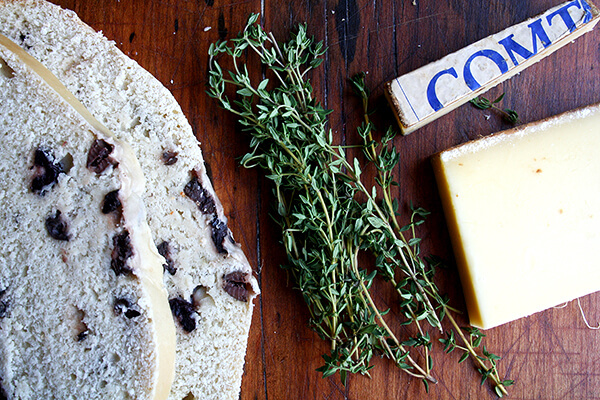 If you use a bakery-style loaf of bread and come Gruyère or Comté cheese, you’re good to go. Preheat the oven to 400ºF. 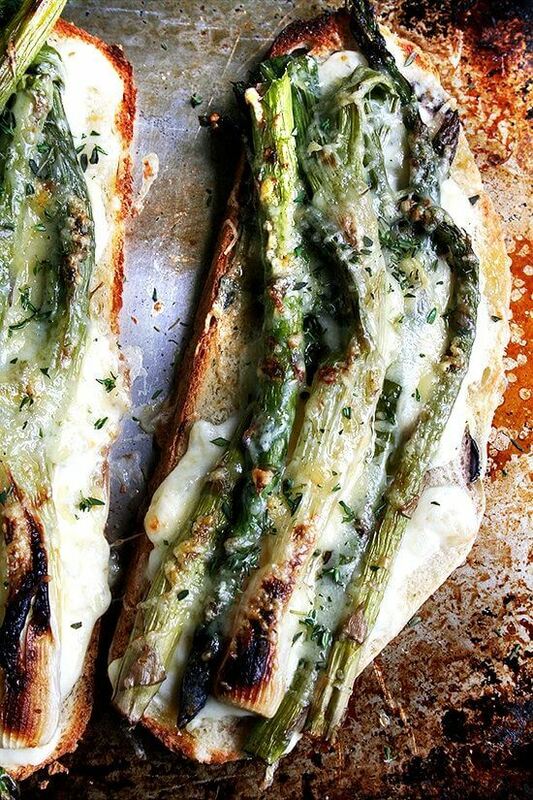 Toss the asparagus and spring onions with olive oil and kosher salt on a rimmed baking sheet. Roast the vegetables until tender, about 10 to 15 minutes. Test with a knife for doneness. Preheat the broiler. 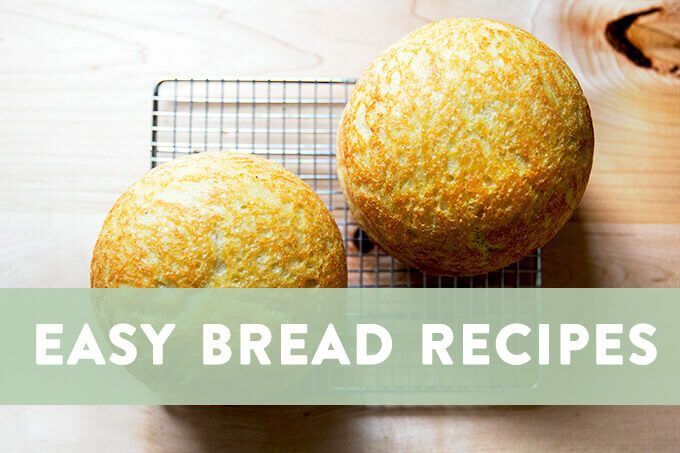 Place the slices of bread on a sheet pan and broil them about a minute on each side. Remove pan from the oven. Spread about a tablespoon of bechamel over each slice of bread. Top with the roasted vegetables. Top with grated cheese to taste. Note: This recipe is adapted from Silverton’s recipe for Mornay sauce in her croque monsieur recipe in her Sandwich Book. To make it a Mornay sauce, as far as I can tell, stir in 1/2 cup finely grated Gruyère and 1/4 cup finely grated Parmigiano Reggiano at the very end. Also Note: This makes enough bechamel for about 30 croque monsieurs. I haven’t tried halving the recipe, but it likely would work just fine. I don’t use bechamel that often, so I’m short on ideas for using up the remaining bechamel. Thoughts? I just plan on eating croque monsieur every day until I’m out of bechamel. In a medium saucepan over medium heat, melt the butter. Add the onion, salt, and cracked peppercorns (if using), and cook about 10 minutes, until the onion is soft but has not begun to color. Remove from the heat and add the flour in two batches, whisking to combine it with the onion and butter. Return the pan to the stove and over low heat, cook a few minutes, until the flour is absorbed, stirring constantly so that it doesn’t brown. Remove from the heat and slowly whisk in the milk. Drop in the bay leaf. Good grief but that looks delicious. Asparagus season just kicking off round these parts. Worcestershire is famous for its ‘sparrowgrass’. 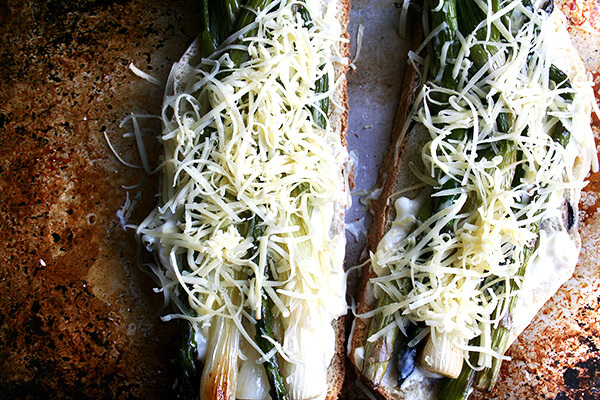 Your croque monsieur will definitely be on my asparagus to-do list. 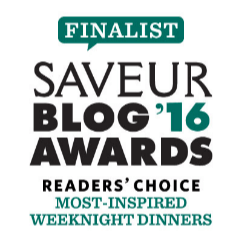 Sue — So glad to hear this! I’m intriqued about “sparrowgrass.” Is it the same as asparagus? Need to go look this up immediately. Thanks for sharing! Oh, Ali, this looks amazing. Katykat — I love you. And I wish I were there to eat croque monsieur with you and your in-laws! 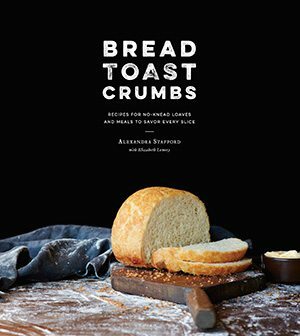 After finding myself once again scouring the internet for Tartine’s croque monsieur recipe, clicking on fruitless links I had clicked on before, and seeing myself heading down an equally defeating path — toward my bookshelf ready to thumb through my Tartine cookbooks to ensure once again I hadn’t made a glaring oversight — I paused. What’s wrong with you? I asked myself. This isn’t rocket science. This is croque monsieur. Christina — I know, it’s hard sometimes to stray from recipes. I need to get better about doing so. I think it would make cooking more enjoyable, too. Glad to hear you can relate! um, yum! Ali, this looks amazing. 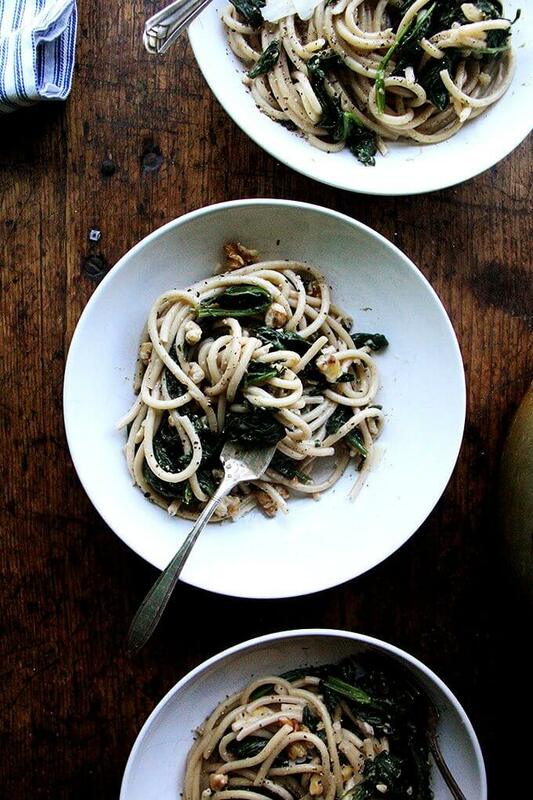 Asparagus is still a bit expensive here in Zürich since it doesn’t quite seem to be in season for the Swiss farms yet, but I have this recipe bookmarked and will be sure to try when the prices come down and the local variety is in the market. I’ve been trying to track down a CSA in Zurich, but haven’t had any luck so far…going to keep looking. Are you growing any veggies these days? I SO wish I had a backyard…or at least some more direct sunlight in our apartment. Talley — you’re back, hooray! I haven’t been growing any veggies recently. I need to get on that. I think I’m going to focus on herbs only this year in pots on my deck. I got frustrated last year by the amount of energy I put into a few tomato plants in the backyard that yielded 6 cherry tomatoes every 5 days. They were gone before I made it back into the house. If I could have access to fresh tarragon and basil and cilantro all summer long, that will be enough for me. K, need to go read about your trip to Italy! Daniela — Welcome! I hope you enjoyed a yummy breakfast this am! So glad I landed in this blog. It’s my first visit here and I am love with the space and your gorgeous rustic photos. I doubt if I can ever pronounce ‘ monsieur’ the way it should be but i sure can make that at home. Looks too yum!!! Kankana — Welcome! Yes, monsieur will never be pronounced properly here as well. I made these this morning for breakfast for my husband. We used bacon instead of veggies. Yum! What a fabulous dish! My first asparagus spears are popping up in the garden and I can see them ending up in something like this. 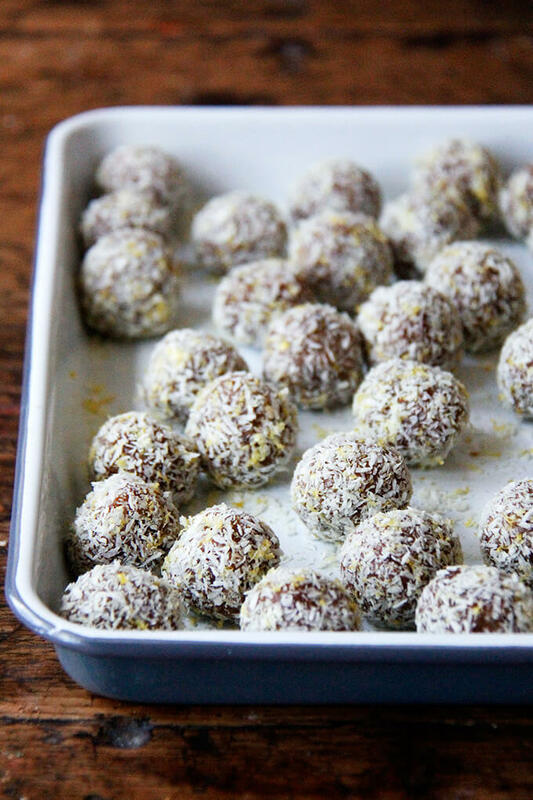 Very, very clever use of ingredients! 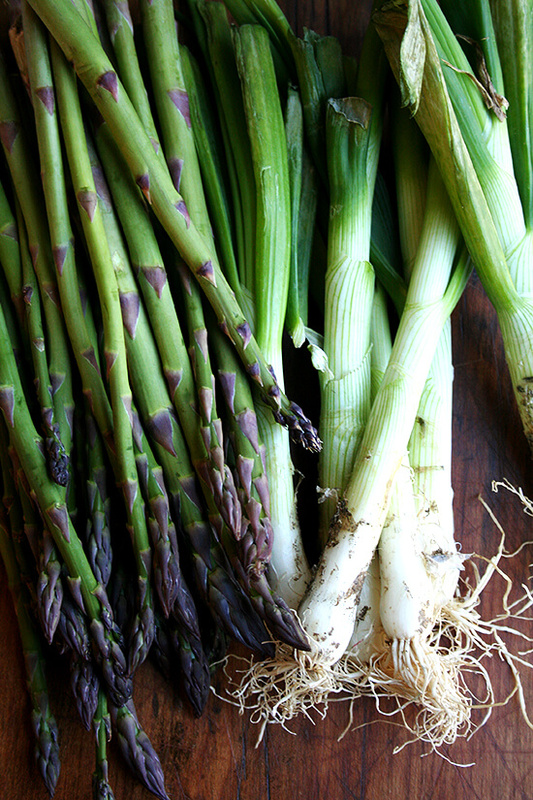 Alicia — I’m so jealous of your home-grown asparagus spears! It takes a few years to get a good crop of asparagus going, right? Very cool that you are growing your own. Ali! I wanted to let you know I made this for the inlaws this weekend (half with just asparagus, and half with leftover easter ham, all topped with a fried egg) and it was a HUGE hit, so delicious, everyone loved it! I saved the rest of my bechamel sauce so I can make again this next weekend… how long do you reckon that bechamel will last? Anyway, you are the best. ever. !!! Katykat — Of course, this makes me very very happy! The bechamel will last at least a week. I still have some from last week, and it’s still good as ever. 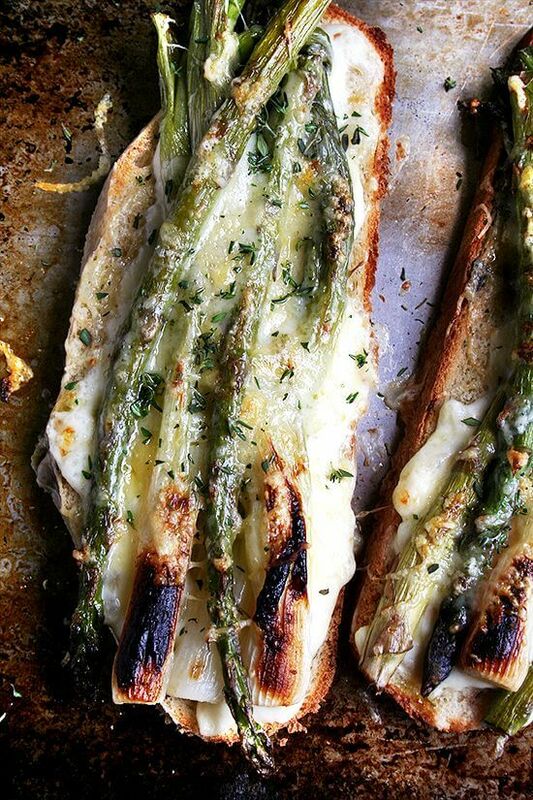 Yesterday I bought some asparagus and was not sure what to do with them…problem solved! Found this via pinterest and it looks amazing, Can’t wait to try. As for the leftover Bechamel, Use it when making lasagne. I made a lasagne a few months ago and used Bechamel in place of Red Sauce and it was fantastic. I used Italian sausage as well. Very good. Cindy — thanks so much for this tip! I made a really yummy small batch of mac and cheese for my daughter with a few tablespoons of the bechamel. So easy and delicious! This recipe looks very tasty. 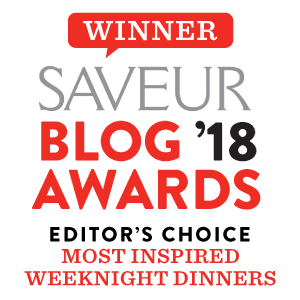 If you like spanish cuisine you can visit my blog. Looks amazing as do all your recipes. New reader to your blog and so glad I found it. Made the crustless kale quiche a few weeks ago and it was a huge hit! Love the simplicity of your recipes yet how amazing they are!! Thanks so much. Welcome Katie! Thank you for your kind words. So glad you liked the quiche. It’s one of my faves. 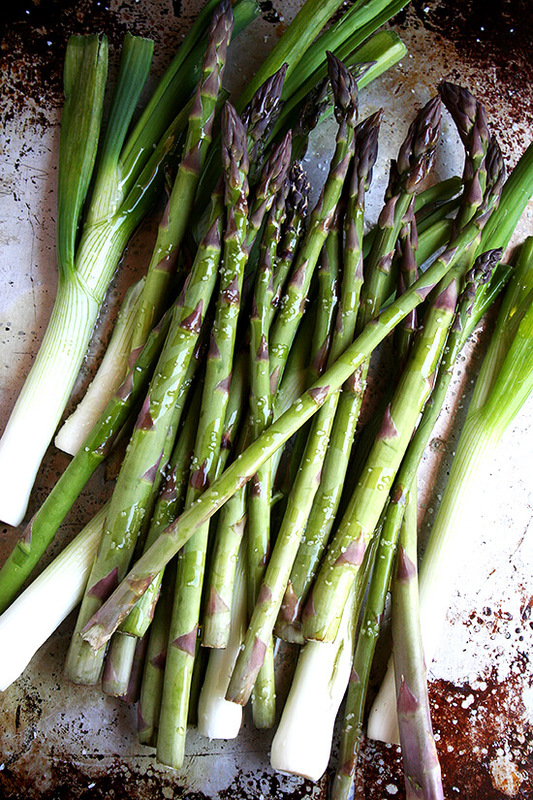 Yes, sparrowgrass is asparagus -just a local corruption of the word asparagus. Sometimes it is simply called ‘grass’ -which could be confusing! The very thin spears are called sprue. Thanks for reporting back Sue! So delicious! I made this for brunch for some house guests, and they raved. Also, I made your farro salad over the weekend, too. I never have to look anywhere except here when I need inspiration. Thank you for all this loveliness! I have never made anything like this, and I want to!!! Ambrosia — dooooo it. You won’t be disappointed. SO good. what to do with leftover bechamel sauce?? How about adding cheese (mornay sauce), maybe a touch of tabasco and turning ii into mac and cheese. comfort food favorite!! Alice — love it. Yum. Now I want both a tartine and some mac n cheese in my belly…maybe this weekend. Rather than go through the trouble of chopping the onion and then straining it out, just cut the onion in quarters and let swim around in the bechamel. Then just pluck them out. This looks delicious! I recently found your blog and love it, everything I’ve made so far has been yummy. I’m a member of Olin-Fox Farms CSA too, they are amazing! So great to hear this, Steph! 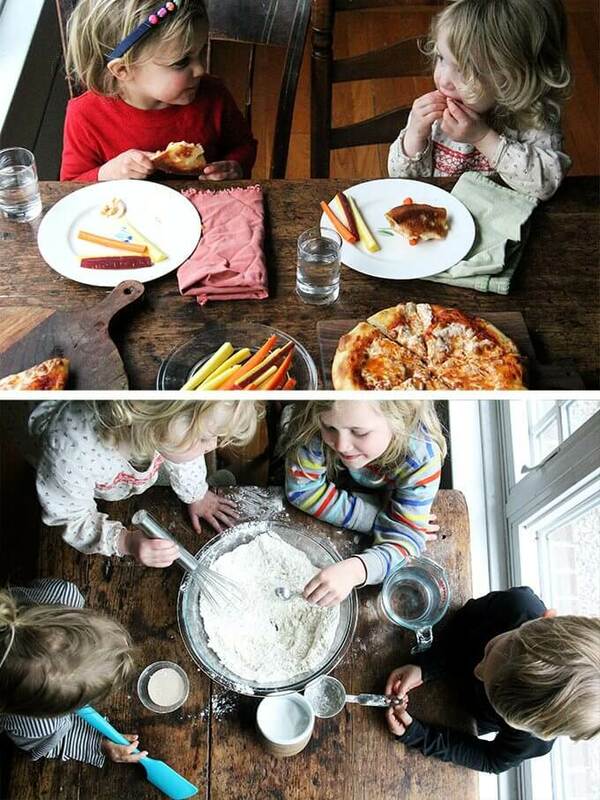 We actually moved to upstate New York so we are no longer members of Olin-Fox Farm’s CSA, but we LOVED it while we were in VA. I don’t think I have had tastier greens or more delicious eggs. I am so looking forward to CSA season starting here. Thanks so much for writing in! Thin with stock and make Cream of . . . soups. Any kind of casserole, gratin or scalloped something. Awesome — thanks so much! Wonderful ideas.